CoSpaces is a mixed reality web-based application that allows users to create and engage with interactive media content. 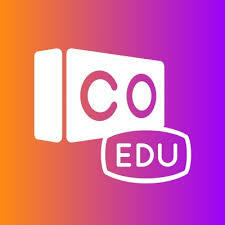 CoSpaces affords student the ability to demonstrate their knowledge in new ways by building virtual interactive worlds, simple or complex, that is approachable for the uninitiated. Virtual Reality – Immersive digital experience in a simulated environment. The user wears a headset and sometimes has controllers to engage with the virtual environment. Augmented Reality – Digitally-created content is overlaid the real world. A person uses either a device with a camera (e.g. A phone) or uses a device that produces holographic images to view/interact with digital content. One example is Pokemon Go. Mixed Reality – A combining of virtual and augmented reality content. Visual Programming Language: Allows users to create programs graphically rather than textually. This type of language alleviates issues related to programming syntax (the writing structure of code) and semantics (the meaning of programming elements). Price Free. Pro Version = $105.00 for one year. Substitution: Students use a Cospaces as a simulation of real world activities and engagements. Redefinition: Students can engage in virtual training (that avoids safety hazards) and recreate real world locations, past or present. Augmented and Virtual Reality in the Language Classroom: Practical Ideas. Analysis of Use of Virtual Reality Technologies in History Education: A Case Study. Augmented Reality, Virtual Reality and Their Effect on Learning Style in the Creative Design Process. Assessment of Wearable Virtual Reality Technology for Visiting World Heritage Buildings: An Educational Approach. Learning Science in Immersive Virtual Reality. Using Virtual Reality and 360-Degree Video in the Religious Studies Classroom: An Experiment. Utilising Virtual Reality in Alcohol Studies: A Systematic Review. Collaboration and Dialogue in Virtual Reality. Effect of Virtual Reality on Motivation and Achievement of Middle-School Students. The Use of Virtual Reality Simulation to Improve Technical Skill in the Undergraduate Medical Imaging Student.